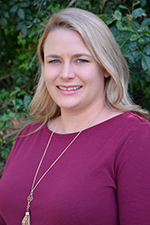 Allyson joined the Archdiocese of Los Angeles as the Director of Development for the Catholic Education Foundation (CEF) in February 2019. 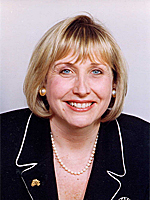 Prior to joining CEF, she served as Vice President of Development and Communications at Huntington Medical Research Institutes in Pasadena for two and a half years, Senior Director of Gift Planning at Caltech for six years, Associate Director of Gift Planning at Cedars-Sinai Medical Center in Los Angeles and the Director of Planned Giving at Scripps College in Claremont, California. Allyson was born in Pasadena, grew up in Southern California and received both her bachelor’s degree and her Juris Doctor degree from the University of Southern California (USC). She is a member of the California State Bar Association and the Los Angeles Council of Charitable Gift Planners, where she is serving as President during the 2018-2019 term. Allyson practiced corporate and regulatory law in the Los Angeles area for several years before transitioning seventeen years ago into development with a focus on planned, major and leadership giving. Allyson and her husband Roland, an attorney, live in Pasadena, and are the parents of three adult children and proud grandparents of a granddaughter. She has previously served on the Board of Trustees of both Mayfield Junior School in Pasadena and the South Central Los Angeles Ministry Project (SC LAMP), as well as on the Board of Directors of St. Anne’s in Los Angeles. She currently serves on the Advisory/Development Board of Nativity School in Los Angeles. Kimberley joined the Los Angeles Philharmonic Association (LA Phil) in March 2015 as the Associate Director of Gift Planning and Principal Gifts. Prior to joining the LA Phil, she served as Director of Gift Planning and Principal Gifts at Scripps College in Claremont, California for three years and the Director of Planned Giving at the Huntington Library, Art Collections and Botanical Gardens in San Marino, California for ten and one half years. She is a graduate of UCLA with a BA in Psychology and Pepperdine University with a Masters in Business Administration. She has been a member of the Partnership for Philanthropic Planning of Greater Los Angeles and the Planned Giving Roundtable of Southern California since 2002. She began her career in support of planned gifts in 1998 at the Palm Springs Desert Museum. Kimberley grew up in Southern California and Arizona and currently resides in Altadena and has one adult son. She currently sits on the board of Mt. San Antonio Gardens in Claremont, California and chairs the Fund Development Committee. She has previously served board roles with the Altadena Library Foundation, Maranatha High School and the Palm Springs Credit Union. Cris Lutz is the Senior Director of Gift Planning at The Huntington Library, Art Collections, and Botanical Gardens, where she helps donors leave enduring legacies at the collections-based institution. Prior to joining The Huntington in 2005 as Associate Director of Major Gifts, she held several positions at Big Brothers Big Sisters of Greater Los Angeles, ultimately serving as Director of Individual Giving. She was also an adjunct faculty member at Pasadena City College, where she taught a Psychology course from 1998 to 2003. Cris has a master's degree in Psychology from Cal State Fullerton and bachelor’s degrees in Art History and Social Science from UC Irvine. She is a certified specialist in planned giving through the American Institute for Philanthropic Studies. Cris serves on the board of directors of the Los Angeles Council of Charitable Gift Planners (LACGP) as well as the American Council on Gift Annuities (ACGA), and is a member of the San Gabriel Valley Estate Planning Council. She lives in Los Angeles with her husband and their daughter. Prior to joining Harvey Mudd College, Office of College Advancement, she directed the gift planning program at The Webb Schools and served as Associate Director of Gift Planning at Claremont Graduate University. 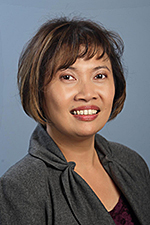 Debbie earned her BA at Pomona College and is a certified specialist in planned giving. Debbie is a past president of the Partnership for Philanthropic Planning of Greater Los Angeles, former WRPGC conference co-chair and has served on the board for five years. Tena Yatroussis is a two-time Emmy award winning development and communications executive adept at leading processes and inspiring people to realize social impact goals. She enhances 10 years in the nonprofit sector with senior media production management skills and creative leadership as a digital media writer, producer and director. Tena enlivens fundraising campaigns with the power of story to build strong partnerships between organizations and the philanthropists who support them. After earning her BA at California State University Northridge, Tena was selected as 1 of an 18 member cohort from among 1,800 applicants for the Director Guild of America Assistant Directors Training Program. This program prepared Tena to direct the daily set operations of film production companies for prime time television shows and feature films. Her clients include Warner Brothers, Touchstone, ABC, Viacom/CBS TV, NBC, Universal, Paramount and 20th Century Fox. She served on the DGA Assistant Director/UPM Council for 11 years participating in contract proposal development, the guild’s New Technology Survey and numerous other committees. Tena completed the UCLA Professional Certificate in Fundraising and Institutional Development (CFRE equivalent) transitioning from entertainment to the nonprofit sector. She has successfully met and exceeded fundraising goals as a Consultant for The Growing Place Reggio Emilia School in Santa Monica, Director of Annual and Planned Giving at The Center for Early Education, as a Development Officer for New Roads School and Assistant Director of Annual Giving at Saint John’s Health Center Foundation and the John Wayne Cancer Institute. A dedicated lifelong learner Tena has completed a certificate in Grantsmanship Training and in Advanced Social Media Marketing and Digital Analytics at Santa Monica College. Tena is a former president of the Los Angeles Council of Charitable Gift Planners and has served on numerous LACGP committees. This spring she joined the board of the Cornerstone Theater Company was honored to be accepted into the Executive Service Corps of Southern California. Starting in April you can find her tending her heirloom tomato “farm" at her home in West Los Angeles. 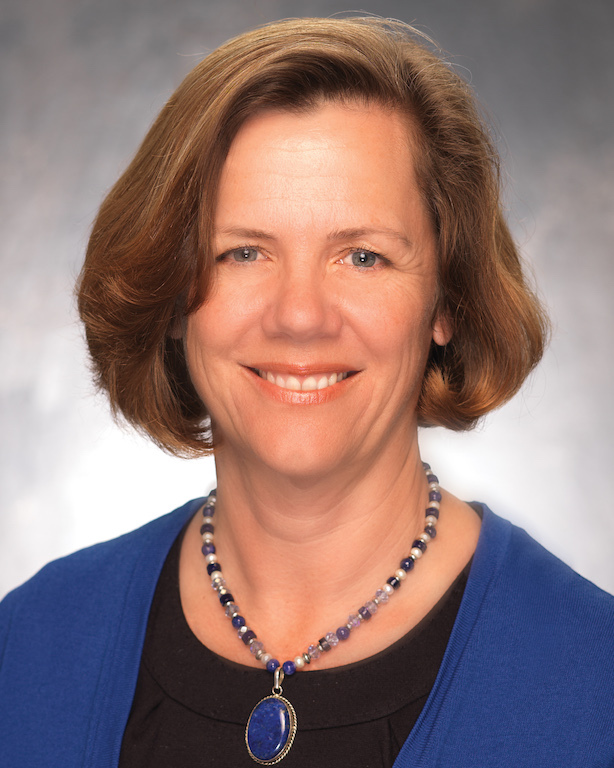 Ms. Burrill has served on the boards of many nonprofits both nationally and locally, including the Board of Directors of the National Committee on Planned Giving (now PPP) where she chaired NCPG’s Public Affairs Committee which oversaw the “Leave a Legacy” national initiative. She is also past president of the Planned Giving Roundtable of Southern California and former Chair of the Western Regional Planned Giving Conference. Janice is currently a board member of WISE & Healthy Aging, the Partnership for Philanthropic Planning (Southern California), and Ramona Convent Secondary School. She is also a member of the Gift Planning Councils of Loyola Marymount University, the Archdiocese of Los Angeles, and the Catholic Education Foundation. 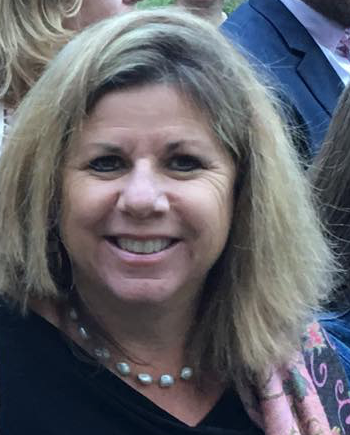 Ms. Burrill has also participated on the Boards of the Los Angeles Women’s Foundation, St. Anastasia School, the Serra Project and Holy Family Services. She is an active volunteer and speaker within the philanthropic sector and participated in the first-ever White House Conference on Philanthropy. Janice currently resides in Playa Del Rey, California. In addition to volunteering, her personal interests include travel, horseback riding, calligraphy, and spending time with her daughter, family, and friends. Patience Boudreaux is a Planned Giving Officer at Loma Linda University Health, a role which allows her to manage a portfolio of planned giving donors as well as support major gifts officers in their prospect management for planned gifts. Prior to Loma Linda, her career has been focused on higher education, particularly private liberal arts institutions. 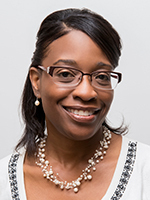 Patience earned her BA at Johns Hopkins University, her MBA from the Drucker School at Claremont Graduate University, and is a certified specialist in planned giving. Michele joined the staff of Netzel Grigsby Associates, inc. having worked as a consultant to nonprofit organizations and institutions. Her experience includes working with senior management, volunteer boards, and special task forces. She has more than 25 years of experience recruiting and training volunteer committees. As a senior vice president with Netzel Grigsby Associates, inc., Michele’s accomplishments include successful multi-million dollar capital campaigns, fundraising development studies, planning and implementing annual and major giving programs and membership development campaigns, planning, and volunteer/staff training. Michele and her husband live in San Pedro where they both are involved in several volunteer and civic organizations. She is the former board chair of the local YMCA where she also provided volunteer leadership to two successful capital campaigns in San Pedro and Wilmington. She currently chairs the Y’s Financial Development Committee. 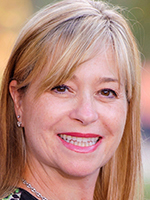 Michele is a member of the Association of Fundraising Professionals–Orange County Chapter. 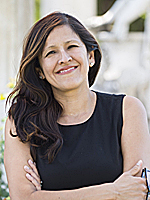 In addition she has been an instructor with the UCLA Extension Certificate Program in Fundraising since 2008. Michele earned her Bachelor of Arts from San Francisco State University. 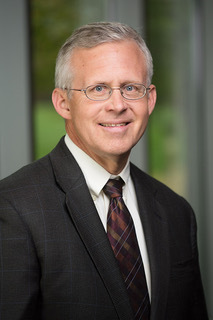 After 14 years in the life insurance and financial planning field, with a 2-year time-out while he and his wife served as volunteers with the American Baptist Church in Thailand, Ray moved into planned giving as the Director of Planned Giving at George Fox University in Newberg, Oregon in 1990. He became the Assistant Dr. of PG in 1995 at his alma mater Claremont McKenna College (’76, P’14), becoming the Dir. of PG in 2008. The College, only 70-years old and with only 600+ alumni over age 70, is in a unique position for a college, in that 95% of the donors to the PG program are non-alumni. Ray lives in Upland, CA, with his wife Diane, 3 fun-loving dogs, and a large tortoise who puts in an occasional appearance. Together, they raised 5 sons, all of whom are Eagle Scouts. Francine Lis is the Director of Planned Giving, Legacy and Endowments for the Anti-Defamation League in the Pacific Southwest Region. She has broad development and nonprofit management experience. Prior to joining ADL in 2011, Francine served as the Director of Annual Giving for USC Law and Director of Development for Jewish Big Brothers Big Sisters. Earlier in her career she held positions of Assistant Director of Development and Public Affairs at Hebrew Union College-Jewish Institute of Religion, Director of Member Services at the Southern California Association for Philanthropy (now Southern California Grantmakers) and Assistant Director of Education/Program Coordinator - Tools for Tolerance for Educators at the Museum of Tolerance. Francine has also consulted with a variety of grantmaking organizations and nonprofits including Southern California Edison, San Diego Grantmakers, Jewish Community Foundation, First Five LA, ArtsCorp LA, Optimist Youth Home and the Dubnoff Center. She is currently pursuing a certified specialist in planned giving certificate through the American Institute for Philanthropic Studies at Cal State Long Beach. Francine received her Bachelor of Arts degree from UCLA and earned a certificate in Corporate Community Involvement from Boston College. Francine is a native Los Angelino, has a son and daughter and an adorable Pomeranian. 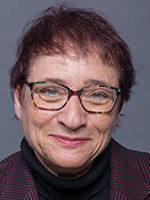 Cynthia Hizami is the Director of Planned Giving for the West Coast for Jewish National Fund, a non-profit which raises money in America for programs, projects and infrastructure in Israel. Over the course of her career, she has practiced as an attorney in many areas, including: estate and tax planning, business litigation, and civil litigation. Cynthia received her B.A. at Tulane University and her J.D. from Tulane Law School. Bill Hranchak is a partner with Temo A. Arjani & Co. LLP which is located in Pasadena. He became involved with planned giving while working with hospitals and other healthcare organizations at Arthur Andersen & Co. in Chicago. He was a partner and member of Andersen’s National Healthcare Tax Practice and was the Southern California practice leader. 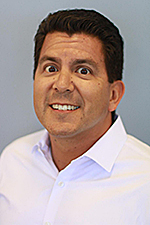 Prior to joining Temo, he was a member of PricewaterhouseCoopers’ National Tax Exempt Organization Practice and was their West Coast practice leader. Currently, Bill works with public charities and private foundations of various sizes and types and individuals on planned giving strategies and other tax issues. He also assists with the annual update of the 5227TaxSystem software which is licensed to over 100 users who use it to prepare over 3,000 charitable remainder trust tax returns. Bill is on the faculty at the American Institute for Philanthropic Studies and teaches the income tax section of the Certified Specialist in Planned Giving program. He earned his B.S. in accounting from Indiana University, Bloomington and is a Certified Public Accountant. 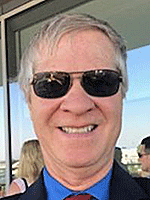 Frank entered the planned giving profession in 2007 when he joined the California Institute of Technology (Caltech). He was introduced to a wide variety of planned giving fundamentals including the development of marketing plans and materials, the administration of a life income program, the oversight of estate distributions, and direct fundraising. In 2015, Frank joined City of Hope Medical Center’s planned giving team as Senior Director of Gift Planning and focused solely on working with donors to cultivate new planned gifts and steward existing commitments. He returned to Caltech in 2017 as a Senior Gift Planning Officer and continues to dedicate his efforts towards helping alumni and friends establish lasting legacies. Before entering the non-profit world, he was a member of a financial planning practice in Los Angeles. Frank earned his B.S. at Redlands University and is a certified specialist in planned giving. 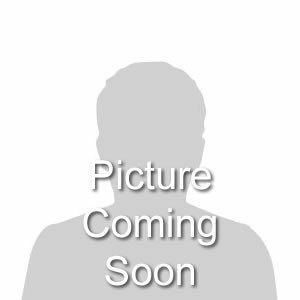 He resides in Brea, CA with his wife, Erika, and their friendly Cairn Terrier, Maggie. 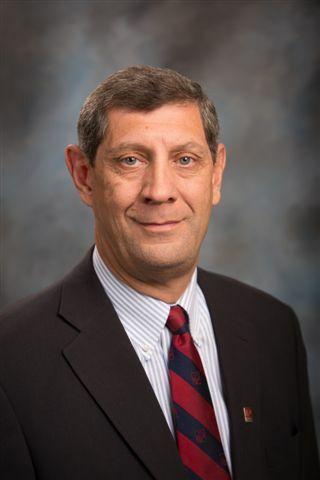 Bob has served The Webb Schools since 2007 as a senior member of the development office responsible for day-to-day management of all leadership giving and planned giving initiatives as well as campaign management. He is President of the Claremont Educational Foundation and is on the advisory board of Ophelia's Jump Productions. Prior to The Webb Schools, Bob worked as an Executive Director of professional regional theatres in Fort Worth, Texas and Atlanta, Georgia, specializing in the works of William Shakespeare. He also served as the Founding Program Director of the Master of Fine Arts program in arts administration at Southern Utah University where he taught and directed professional internships in conjunction with the Tony Award-Winning Utah Shakespeare Festival. He has been a grants panelist for the National Endowment for the Arts and produced events for the Olympic Arts Festivals in Atlanta (1996) and Salt Lake City (2002). He holds a bachelors degree in directing for theatre and a masters degree in arts administration. He is also a certified specialist in planned giving. In his role at Claremont McKenna College Jim is responsible for identifying new alumni estate gifts, working with donors on life income gifts, managing special events for the legacy society, and serving as a liaison each year to the 50th class reunion committee. 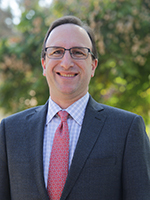 Prior to joining CMC’s Office of Planned Giving in 2013, Jim held a variety of positions in alumni relations at Princeton University, the University of Chicago, Claremont McKenna College (1999-2001), and Occidental College. He studied at Northwestern University as an undergraduate and earned his Master’s degree at the University of Wisconsin. In addition to his volunteer work with the LACGP, Jim volunteers with the Big Ten Club of Southern California (where he is a past president), the American Red Cross as a platelet donor (226 units and counting), La Verne Heights Presbyterian Church, and the Los Angeles Sports and Entertainment Commission. When not volunteering (or working), Jim is often bicycling in the mountains north of Azusa, where he lives with his wife, Jackie, and dog, Jenny, or cheering on the greatest team ever (in his mind, at least) the Green Bay Packers. Deb Johnson is a high-performance senior leader with over 20 years of experience managing non-profit organizations. She has the ability to drive change to improve organizational performance and management. Deb has a strong track record of success in motivating and developing volunteers while optimizing operational results. She is a self-directed professional that takes pride in the transformation of a vision into reality while building a sustainable foundation for continued success. When not in the office, you can find Deb traveling, dancing, kayaking or gardening.